Yannis Grigoriadιs and Yannis Isidorou (Salon De Vortex) as part of their continuing research into the city, shift their attention from the Metropolitan center to the Western suburbs where they curate and present the exhibition “Nice!” in Nikaia, at the cultural center Manos Loizos (former Mechanic cultivation) a historical, industrial building emblematic of the surrounding area which encapsulates one hundred years of history within its walls. Twenty four guest artists present personal narrative constructs/contraptions aiming to delineate the field of subjective memory. By means of comparative citing of experience in the changing environment, they explore accumulated beliefs, experiences and memories, questioning the function of these in structuring identity (individual or collective). 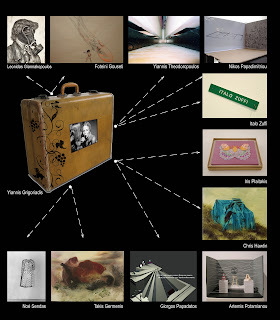 A variety of approaches, found objects, recordings and representations, bodily actions, archives and collections comprise the main form of the exhibition, while wandering, reflection, observation, psychogeography and its variegation within time-space, are the project's main methodological tools and practices. Dimitris Halatsis, Nadia Kalara, Zissis Kotionis, Tassos Langis, Anna Lascari, Giorgos Papadatos, Nikos Papadimitriou, Leonidas Papalampropoulos, Maria Paschalidou, Artemis Potamianou, Bill Psarras, Vassiliea Stylianidou, Alexandros Psychoulis, Yiannnis Theodoropoulos, Theodoros Zafeiropoulos. Dimitris Allos, Vassilis Amanatidis, Orfeas Apergis, Rika Benveniste, Ioanna Boukova, Marios Chatziprokopiou, Theodoros Chiotis, Christos Chrissopoulos, Phoebe Giannisi, Katerina Iliopoulou, Yiannis D. Ioannidis, Panayotis Ioannidis, Konstantinos Matsoukas, Maria Michou, Maria Topali, Theophilos Tramboulis, Giorgos Tzirtzilakis. The activities and the exhibition are realized with the support of NEON Organization for Culture and Development and in cooperation with the Municipality of Nikaia-Agios Ioannis Rentis. The project includes 25 artists / 25 site specifics located in 12 different cities in 10 counties and it is curated by Artemis Potamianou and Giorgos Papadatos. Public Domain is a map-archive project consisting in documented interventions and actions in the public space. The participating artists follow a specific working process both in terms of method and end result. They are asked to imagine and to realize an intervention on a public site in the city where they live. Afterwards they are asked to photograph the intervention and submit it in the form of a print. These prints will be exhibited at Milkshake-agency project space together with an index with exact location and time of the actions. 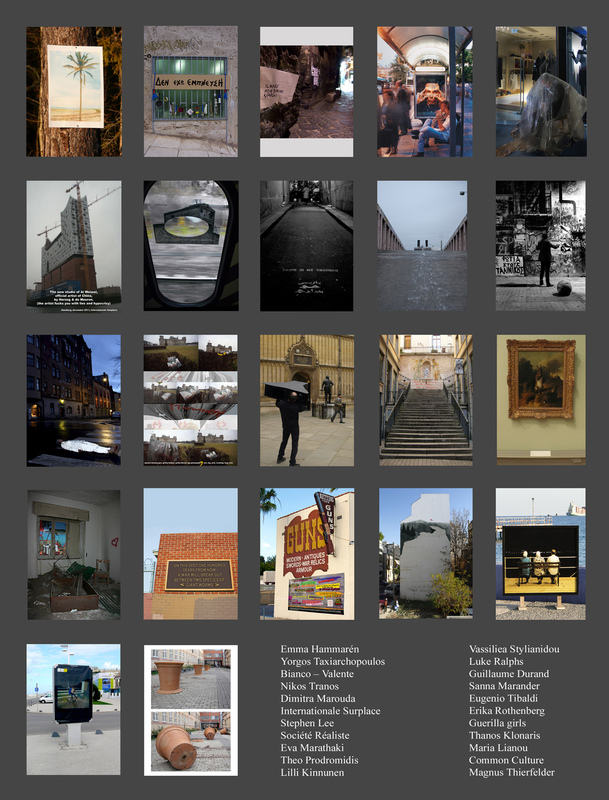 The end result is a linear visual archive of site-specific works which signify the artists’ varying investigations and concerns and also serving as an intervention in the urban environment. An intervention which walks the fine line between legitimacy and illegitimacy, since viewing the art object is not voluntary rather it is imposed upon the viewer. Concurrently, the artist is exposed in a way and on a scale in which not just his/her practice is externalized but individual ideas, feelings and attitudes are also freely expressed, following an internal negotiation where the personal is transformed into the public. In this manner, a record is kept, a visual diary, but also a process of dialogue is activated which exceeds the boundaries of personal investigation. This dialectic archive is acutely political in that it documents the pulse and the concerns of different artists who, not only reflect the culturally, politically and economically different societies which they are a part of, but in the end are also representative of contemporary art production of their time. Lo and Behold presents the exhibition entitled Reflections on Art and Literature, at rosalux – the Berlin-based art office. Artemis Potamianou (Athens based) and Thalia Vrachopoulos (New York based) are the curators of the exhibition which will open on Saturday 22nd of February 2014 at 7 pm. The exhibition will remain open until 22th March 2014. The relationship between visual art and literature — close, reciprocal and multifaceted in terms of aims and objectives — is characterised by a dynamic interaction which had been going on for centuries and constitutes a popular area of art history, with different approaches depending on the researcher’s starting point. Yet even without aspiring to follow such an approach, one can hardly fail to observe the common path, the parallel interpretation of historical reality and the interaction among so different fields of artistic creation, to the point where they go beyond being mere stimuli and sources of inspiration for each other as their boundaries are abolished in the oeuvre of certain artists. The different roles but also the influences exchanged between literature and visual art make this a typical example of the evolution of a productive symbiotic relation. Although varying in their nature and expressive media, their creative process heeds comparable principles and fulfils similar needs, providing new paths and opportunities for discourse over and beyond the individual traits of images and language. Participating Artists: Rebecca Agnes, Giorgos Papadatos, Isabel Baraona, Christina Mitrentse, Artemis Potamianou, Richard Humann, Nikos Papadimitriou, Meg Hitchcock, Kostas Bassanos, Renee Magnanti, Maria Ikonomopoulou, Tiny Domingos, Barbara Knight, Cris Giannakos, Imni Lee, Robert C. Morgan. 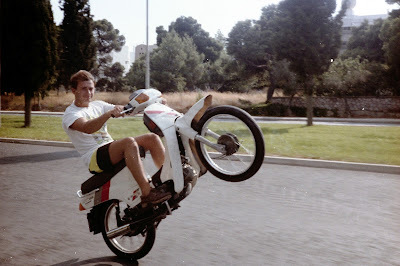 The project “State of Mind” refers to the notion of “Happiness” and is curated by Nikos Papadimitriou. Buddhist monks believe that happiness has nothing to do with materiality but is a state of mind. Aristotle argues that happiness depends upon ourselves and Mahatma Gandhi that happiness is when what you think, what you say and what you do are in harmony. According to Wikipedia: “Happiness is a mental or emotional state of well-being characterized by positive or pleasant emotions ranging from contentment to intense joy”. The question is: How do we perceive happiness today? Who and under which conditions could be considered happy and what could possibly lead us to a state of happiness? Could someone be in a state of joy regardless of the social environment around him? The lack of what could be described as a joyful life and the loss of wealth -in terms of the western capitalistic paradigm- leads some of us to the emotional state of funk or depression. The participating artists follow a specific working process both in terms of method and end result. They are asked to imagine and to realize an intervention on a public site in the city where they live. Afterwards they are to photograph the intervention and submit it in the form of a poster. These posters will be exhibited at Lo and Behold’s booth at Supermarket. The end result is a patchwork of a number of site-specific works which signify the artists’ varying investigations and concerns and at the same time serve as an intervention in the urban environment. An intervention which walks the fine line between legitimacy and illegitimacy, since viewing the art object is not chosen rather it is imposed upon the viewer. Concurrently, the artist is exposed in a way and on a scale in which not just his/her practice is externalized but individual ideas, feelings and attitudes are also freely expressed, following an internal negotiation where the personal is transformed into the public. This dialectic collage is acutely political in that it documents the pulse and the concerns of different artists who, not only reflect the culturally, politically and economically different societies which they are a part of, but in the end are also representative of contemporary art production of their time. 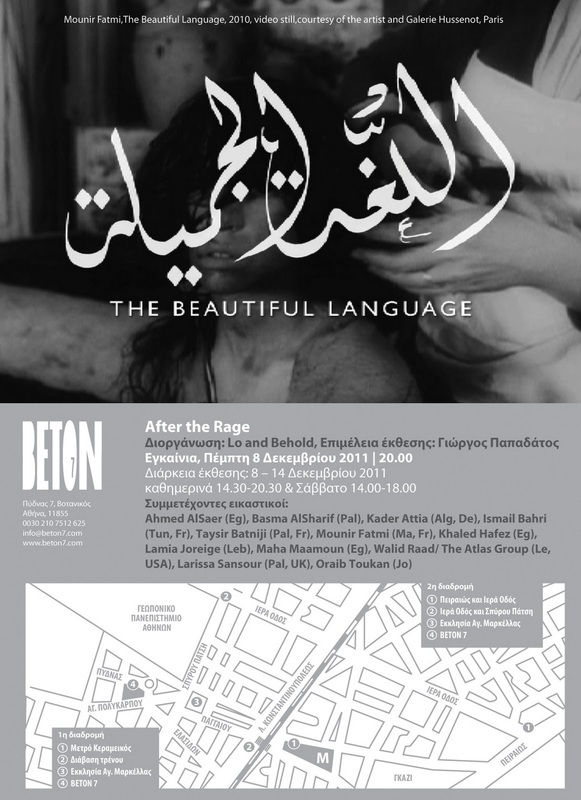 Lo and Behold presents the video screening program After the Rage, which will take place from 08 to 14 December at Beton7 Center for the Arts. Ahmed AlSaer, Basma AlSharif, Kader Attia, Ismail Bahri, Taysir Batniji, Mounir Fatmi, Khaled Hafez, Lamia Joreige, Maha Maamoun, Walid Raad, Larissa Sansour. Lo and Behold presents the exhibition Fear ['fovos], which will take place from 24 February to 24 March at the independent space Salon de Vortex. The exhibition explores the increase of individual fears and their currency in the present socio-political circumstances, and it considers the historicity of fear. At the same time, it attempts to introduce a framework of reflexion on personal fears as they are delineated in visual arts. The practices of response to fear, also, are not always explicit, ranging from opposition, enforcement and occupation to defence, shrinking and withdrawal. In this respect, when personal fears constitute the raw material of artistic creation, they are documented as images of decorum, normality or ambivalence, while in other instances they are articulated as forms of conflict, anxiety and violence. The exhibition examines aspects of fear as they have been illustrated in the work of ten contemporary artists. The participating artists come from different geographical areas and draw on diverse experiences and interpretations of fear. Vanessa Anastasopoulou depicts introversion and stillness; Sarah Dwyer reveals the fear of entrapment and Vangelis Gokas paints calm suffocation. Alexandre Arrechea renders the mood of continuous surveillance and pursuit; Nikos Arvanitis comments on social discipline, while Sifis Lykakis investigates the deformations and limits of the self. Clement Page explores the language of unconscious fear; Ciprian Muresan shows the fear of leap into the void; Yiannis Papadopoulos speculates on the poeticality and the space of fear and Amie Siegel films the urban spatialisation of isolation. The exhibition Fear Φόβος ['fovos] is the second group exhibition organized by Lo and Behold in Athens, following the exhibition Space is the Place. Lo and Behold will participate in Supermarket Art Fair in Stockholm, 18-20 February. 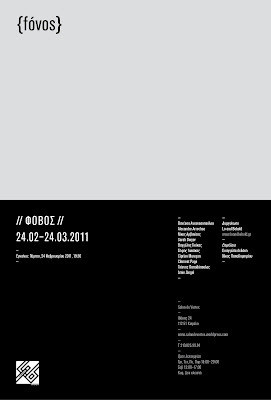 Lo and Behold is participating in Supermarket Art Fair in Stockholm, which will take place in 18 – 20 February 2011. Supermarket is an international artist-run art fair, which provides a showcase for artist initiatives from all over the world and aims at creating opportunities for new networks in the international art scene. The project PIGS Case, with which Lo and Behold is participating, is an exhibition of small-scale works, all of which together fit into a suitcase.The works, by artists from the European countries with faltering economies (the so-called PIGS: Portugal, Ireland, Italy, Greece and Spain), convey a sense of the personal item which one takes along on a trip, or even when emigrating overseas. 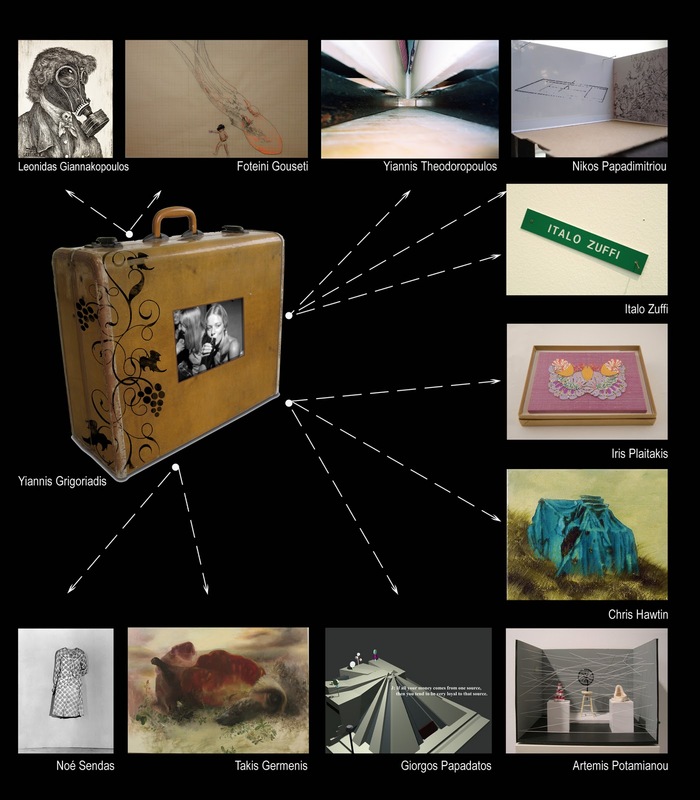 The project references Duchamp’s “Boîte-en-Valise”, a carrying-case containing photographs and miniature replicas of his most important pieces, which he created initially during WWII to preserve his work for posterity in a time of crisis and in the event that he had to flee abroad. 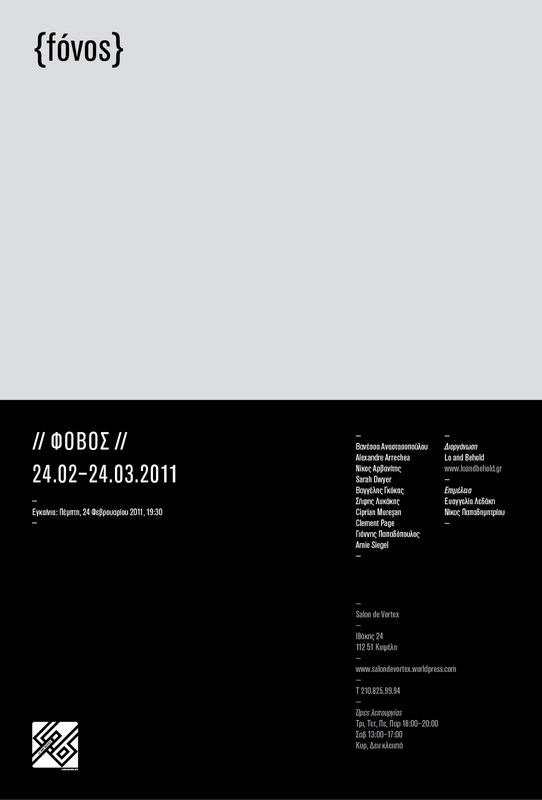 Giorgos Papadatos, Nikos Papadimitriou, Iris Plaitakis, Artemis Potamianou, Alexandros Psychoulis, Noé Sendas, Martim Ake Smith-Mattsson, Yiannis Theodoropoulos, Italo Zuffi. In the exhibition, Space is the Place, the new alternative exhibition venue provides an opportunity for a dialogue through which to define and explore the notion of space from different visual approaches, both morphologically and conceptually. Architectural space, space as defined in relation to the body, geo-cultural identity, the ‘uncanny’ and the presentation/ description of a utopian space are the thematic areas to be explored in this exhibition.